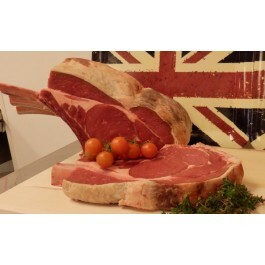 The finest Rib of beef bought from a 20 mile radius of our shops. Hung and cut on the bone to the highest standard. If you require tracibility, send us an e-mail, and we will tell you the exact farm it has come from. Price is Per Kg, we will leave multiples of the Kg as 1 joint unless otherwise requested.